Review the following information about our limo or Party Bus service. If you have any questions which are not addressed here, please feel free to call us at 541-344 5466 or 541-543 4971 or by e-mail. We require a one third deposit to confirm a limo or Party Bus reservation. The deposit is refundable if you cancel your reservation 30 days or longer prior to your pick up date less a $25.00 processing fee. If the reservation is canceled within the 30 day period, it will be refunded if we re book the time to another customer, less our $25.00 processing fee. Certain exceptions may apply (see our info on proms). Deposits may be paid by debit/credit card over the phone, check or cash. If you want to pay your deposit in cash, see the directions to our shop below. Payment for limo service can be made by credit/debit card, check, Paypal or cash. All limousine and Party Bus reservations must be paid BEFORE your trip begins. Our chauffeurs will accept cash only, unless other arrangements have been made to pay for your limousine or Party Bus. If you plan to pay your balance by check, please make your payment one week in advance of your reservation. Debit/credit card payments are due when we dispatch your driver (usually 2 to 3 days prior to your limo reservation. Balances due at pick up must be paid in cash. Certain exceptions apply (see our info on prom limos). A confirmation of your limousine or Party Bus booking will be e-mailed to you showing the dates reserved, times, pickup instructions and amount due. Please verify the confirmation and notify us of any changes and/or corrections. If you don’t have e-mail, we’ll send your confirmations by regular mail. We are located at 191 Wallis Street Unit B, Eugene, OR 97402. If you want to look at a specific limousine or Party Bus, please call (541 344-5466) prior to coming in to make sure the limousine or Party Bus is not out on a booking. Wallis Street is off West First Street in the West Eugene industrial area, between Seneca and Bertelsen. From I-105, go to Highway 99/6th Street exit, and go west on 6th Street/Hwy 99 to Roosevelt, left turn, to Seneca, left turn, to W. 1st Street, right turn, to Wallis Street, left turn, to 191 Wallis. From Beltline, go west to Roosevelt, turn left, to Bertelsen, turn right, to W. 1st, turn left, to Wallis Street, turn right. Our office is upstairs from Eurosport Automotive. Google map to Sunshine Limo Service & Wine Tours. All limo and Party Bus reservations are initially booked by the hour. If you have a 1 hour limo rental, the driver will allow you an extra 5 minutes time. If you go over the 5 minutes, he will then charge you for the next half hour, plus gratuity. If your limo or Party Bus reservation is 2 hours or more, the driver will allow you an extra 10 minutes or so before charging to the next ½ hour. We will let you know whether we have another limo or Party Bus reservation right after your time and if the driver needs to end your trip exactly as scheduled. If we have time available, you are always welcome to extend your trip for as long as is available on our schedule, and the driver will charge you for your extra time, plus gratuity and fuel surcharge. We calculate your expected gratuity at 20% when you make your reservation. If your limo or Party Bus reservation is paid in full including gratuity, no further gratuity is necessary. If you feel your driver has done an exceptional job and want to offer him an extra gratuity, he will be happy to accept it, but it is not necessary to further tip him. The driver will make sure you understand that the gratuity has already been collected before accepting any additional gratuity. There is also a 7% fuel surcharge applied to all limo or Party Bus reservations. What Comes with the limousine or Party Bus? All of our limousines and Party Buses will come fully stocked with glassware, napkins, ice, soft drinks and bottled water as part of your limousine rental. Seat belts are provided in all of our limousines and Party Buses. Adults over the age of 21 are allowed to drink alcoholic beverages in the passenger areas of our limousines and Party Buses. We do not allow anyone under the age of 21 to consume alcoholic beverages in our limousines or Party Buses. We do not provide alcoholic beverages and you should plan to bring them with you, or our driver will be happy to stop at the store for you to purchase them. All of our vehicles are nonsmoking vehicles and this is strictly enforced. Our drivers will be happy to stop whenever you want to allow passengers outside for a smoke break, but absolutely no smoking is allowed in the limo or Party Buses. If passengers smoke in the limousine or Party Bus, we will charge $100.00 minimum (for detailed cleaning) and end the reservation. Please be considerate and don’t smoke in the limousines. 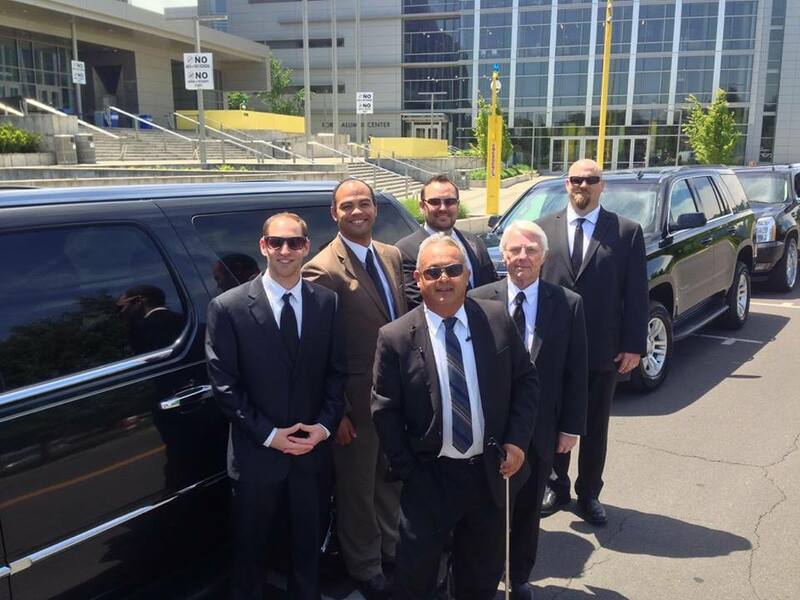 Your limo or Party Bus time begins when we arrive to pick you up, and ends when we drop you off. If you live outside the Eugene/Springfield area, we have longer minimums for limo or Party Bus reservations and your time still starts when we pick you up. If you prefer, we can charge for travel time instead, but we find most clients prefer to have the full amount of time in the limo or Party Bus. We do lots of children’s birthday parties and trips for middle and high school passengers. We do not require an adult to travel with middle school and high school passengers, but they are always welcome to do so. We recommend that an adult be in the limo or Party Bus if your children are younger than middle school age. Our drivers all really enjoy working with children and young passengers and get along well with them. If your middle/high schoolers are in our car, they will be very well taken care of. On certain prom/formal dates, our limos and Party Buses have a 4 hour (or more) minimum booking time. The deposit for these dates is 1/3 of your total reservation and is fully refundable (less $25) if canceled more than 30 days before your date. If the reservation is canceled within the 30 day period, the deposit will be refunded (less $25) only if we re book the time to another party. All prom/formal reservations must be paid in full, including gratuity, 14 days prior to your limo or Party Bus reservation. Once we have filled our initial 4 hour minimum time slot, we will make limo or Party Bus reservations for shorter periods of time before and after the main booking if time is available. These bookings must also be paid in full 14 days prior to the date of your reservation. If you have booked the limousine or Party Bus for an extended reservation (2 hours or more), the driver and limo are at your disposal for the entire time of your reservation. He will provide you with his cell phone number while you are at dinner or elsewhere so you may contact him at any time to come and get you. He will be happy to perform reasonable errands for you, or go to pick up additional parties if you desire, whether you are in the limo or Party Bus or not.